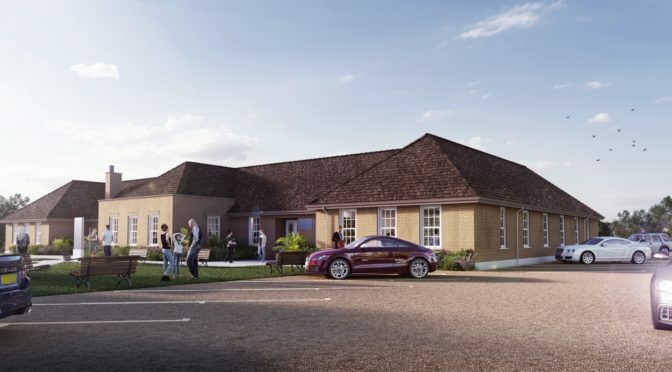 Upper Rissington business owners will soon benefit from the arrival of HQ Office, providing flexible and affordable office space in what was once the Officers’ Mess at the old RAF base. From September 2018 HQ Office will provide a new base for a community of local businesses, entrepreneurs and creatives. There will be a mixture of permanent offices, hot desks and co-working areas, as well as meeting rooms, break-out areas and a kitchen with hot coffee on tap throughout the day. Eliminating the need to commute long distances or compete with the family when working from home, HQ will offer a local, stylish place to work and a social hub. HQ promises a slick business operation with superfast broadband and a simple, transparent monthly fee to cover all the basic business needs and running costs. Small business owners will be able to get on growing their business with no requirement to sign a long lease, signing up with HQ for as short a period as a month or simply hot desking to break up their work routine but not their bank balance. HQ aims to build a community of like-minded individuals in different sectors. There will be networking opportunities, link up events with local businesses and special rates to join the gym next door. At HQ there will be ample car parking and bike racks, as well as being in walking distance of the convenience store, café bar and other amenities. Via press release from HQ dated 25 June 2018.